You are going on a vacation but haven’t packed your bags yet. 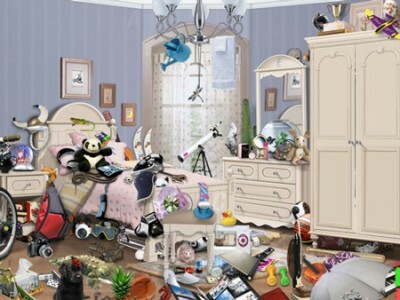 Find all the things you need in this extremely messy room. If you click on a wrong item the timer speeds up. There are some objects in the drawers and in the wardrobe as well. You have three hints, so use them wisely.